To Stoke-on-Trent, for a seminar at the Emma Bridgewater pottery factory, discussing the potential for regenerating Stoke in an era of scant government support and weak local government. Chatham House rules, so no names, no pack-drill. But a lively and thought-provoking session. Stoke is at the heart of the Potteries: one of Britain’s de-industrialising provincial city-regions, hammered by the decades-long loss of not just much of its ceramics manufacturing, but also the complete disappearance of once-well-paid and skilled working-class jobs in steel and coalmining. Its battered towns (there are five of them, or six, or was it seven) and its scarred post-industrial landscape face serious regeneration and development challenges. 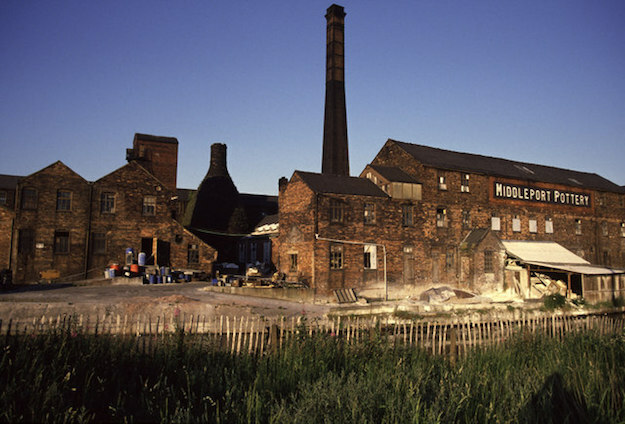 The seminar included an exploration of whether part of turning the place round could involve new inner-city housebuilding aimed at young creatives and professionals, to keep them in the Potteries, alongside more familiar responses targeted at renewing the town centres and the struggling rented housing areas. So a wide range of ideas, from a cast including some heavy hitters; and happily not at all dominated by the lure of ‘housing-led regeneration’ as I had feared. 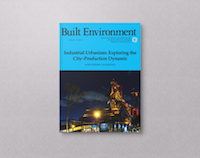 In particular, some interesting resonance with the “Industrial Urbanism” issue of Built Environment now on your bookstands. and better-quality centres (poor old Hanley ‘city centre’ got a bit of a kicking). And one of the ways to better-paid jobs that she stressed was a recognition that in a place like Stoke, with a long industrial tradition and skill-base, a soundly-based strategy has to build around industry, not just a vague aspiration to make the place nicer. Another speaker pointed out that the Potteries does have a still-surviving ceramics industry: that is, it’s not a Sunderland with no shipbuilding left, or a Merthyr with every pit closed. And ceramics is not just about Wedgwood, Portmeirion, pretty bowls and mugs: it’s a 21st century industry too, tied into electronics and advanced technology. Britain has a long and lousy record in not nurturing its industrial ecosystems, its Mittelstand and its underpinning of craft skills. Short-termism, shareholder pressure and financialisation have all wreaked havoc with the manufacturing base. But perhaps things are changing: if the planners are noticing ‘industrial urbanism’; if the government listen - as they might - to the Industrial Strategy Commission beavering away at Sheffield and Manchester Universities under Kate Barker’s chairmanship; and if creative bottom-up ideas about new local housing markets can bear fruit, then maybe there’s hope. Maybe.